Forcefield®. Protective headgear for non-collision sports that looks and wears like a sweatband. FIFA compliant. ASTM tested. NFHS sanctioned. CE II safety certified. Patented helmet polymers fused inside an athletic quality sweatband lessens the force of an impact significantly. Reduces the risk of injury from a fall. For toddlers learning to sit, walk and balance, for young children at play, at playgrounds and in non-collision sports like T-ball in field, out field. Recommended by pediatricians and brain injury experts. Fits young children. From 41 cm - 48 cm. Ages 6 mos - 5 yrs. Doesn't interfere with visibility or fun. Looks and wears like a sweatband. For a limited time, receive a FREE coverwrap for toddlers with your purchase. Will the headband prevent a concussion? No. No headgear in the world can prevent a concussion. Not even a hockey helmet. Headgear cannot stop your brain from moving inside your head, hitting your scull from the inside. The risk of a concussion has to do, primarily, with how much force there is at the point of impact. Hidden inside every Forcefield™ headband is a patented pliable polymer layer engineered to absorb and spread out the force of an impact. 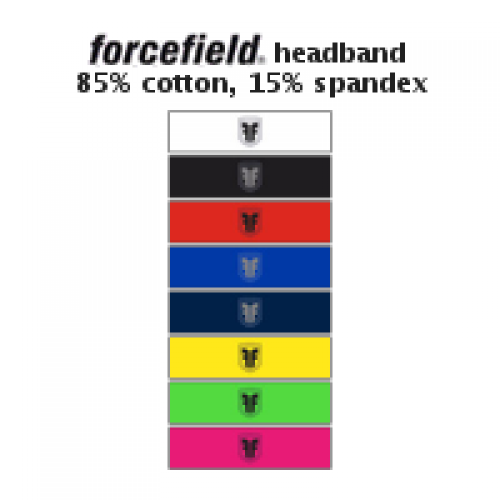 Forcefield™ headbands absorb a significant amount of the force, so less impact force reaches your head. The risk of injury is less because the amount of force reaching your head is less, as it is with the design of all protective headgear. Can I wear the headband instead of a helmet? No. You wear ForceField Protective Headgear™ when a helmet is not the best option, when you’d ordinarily wear a sweatband or headband or nothing at all. ForceField Protective Headgear™ is not a replacement for a helmet and is not for use in any collision sport or any other activity like cycling where protective headgear is already standard equipment. Goalies, jockeys and umpires do wear ForceField Protective Headgear™ under their helmets for added protection. What is a CE II certification mark? (EU) CE II is an internationally recognized and Canadian sanctioned certification mark for headgear used in non-helmeted, non-collision sports and activities. The II in CE II means the safety of the protective component of the product performs as claimed: TO REDUCE THE RISK OF HEAD INJURIES BY SIGNIFICANTLY ABSORBING AND DISSIPATING FORCE FROM AN IMPACT AND THEREBY REDUCING THE SEVERITY OF THE IMPACT. By way of comparison, (CSA) Z262.1 is a Canadian certification standard for hockey helmets. Before you purchase any headgear, you are responsible for ensuring it has a certification mark for the level of protection you need. Certification marks are your assurance of thorough testing to ensure both a high level of safety and product quality. Can I take more risks because I don’t have to worry about the effect of a hit to my head as much? No. When you wear ForceField Protective Headgear™ you have thought about the risks associated with your activity and choose to take steps to protect yourself. Wearing ForceField Protective Headgear™ is one important step. There are many more things you can do to minimize your risk of injury. We encourage everyone to visit Parachute1. They are national experts with suggestions covering many sports and activities (click here). ForceField Protective Headgear™ does not make it safe to play fearlessly. When can I use ForceField Protective Headgear™ ? The sweatband was designed with extra protection on the front and back of the head and the ULTRA offers 360° of protection. Both styles comply with FIFA law 4 for protective headgear. The product is well suited for soccer and more. Players of all sports where a helmet is not standard equipment can benefit. Skaters and curlers who might hit their heads from a slip or fall on the ice are as likely to benefit from wearing the product as those playing volleyball, basketball or participating in cheerleading and gymnastics. You can use ForceField Protective Headgear™ whenever there is a risk of a fall or a hit to the head and protective headgear is not standard equipment. You can even wear ForceField Protective Headgear™ at the park or anytime you are susceptable to falling. What is the difference between a full contact collision sport and a contact sport and non-contact sport? For the purpose of understanding when it's appropriate to wear Forcefield Protective Headgear™. Forcefield Protective Headgear™ is NOT designed to be worn where protective headgear, like a helmet, is already standard equipment. A collision sport is one where participants purposefully hit or collide with each other and objects as part of the game such as in football, rugby, or ice hockey. A limited or semi contact sport is one where participants have random contact with each other and objects during play such as soccer, basketball and lacrosse. Non-contact sports are those where participants have infrequent, accidental, occasional or no contact with each other during play such as skating, curling, cycling, raquet sports and skateboarding. Can I wear my ForceField under a hat, cap, hood, earmuffs, scarf, or bandana? Yes. 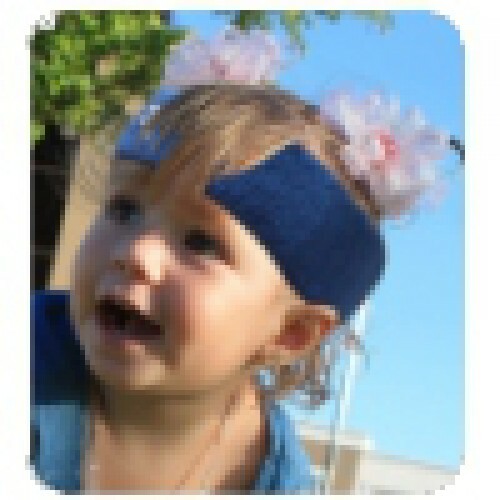 Toques, knit caps, hoods, earmuffs, headbands, hats that stretch or scarves, bandanas and coverwraps are all fine to wear over the ForceField™ headband. 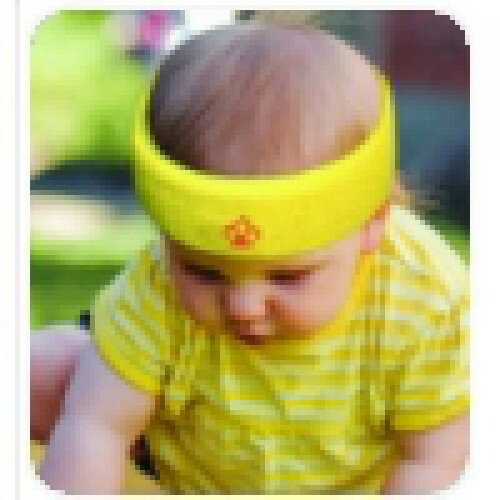 The protective material of the headband will remain right against your head and because of that, the protective quality of the product remains intact. Why are the .ca prices higher than the .com prices for the same product? You actually save over $5 by buying from the .ca website. Here’s why. Canadian e-tail prices are $29.95 and $34.95. If you buy from the US, your price would be $35.40 and $43.89. Before taxes and shipping which you have to pay in either case. Here is the math. 1Parachute is a relatively new, national charitable organization who's mandate is to prevent injuries and save lives. Parachute is the amalgamation of four, 20 year old organizations: ThinkFirst Canada, Safe Communities Canada, Safe Kids Canada and Smart Risk. Forcefield™ supports Parachute concussion awareness and prevention initiatives by distributing Parachute information to Canadian students, parents, teachers, players and coaches in its Fundraising Kit. 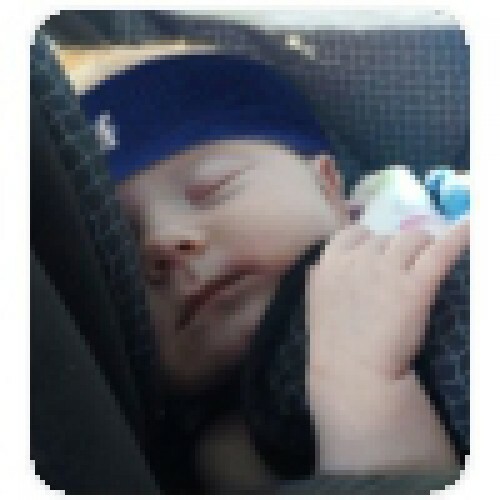 Please note that the Forcefield Sweatband™ is very stretchy and the Forcefield ULTRA™ is velcro adjustable. The Forcefield 45 fits most. The Forcefield ULTRA™ Junior includes extra velcro to fit smaller heads and at the same time provides even more protection to the back of the head. 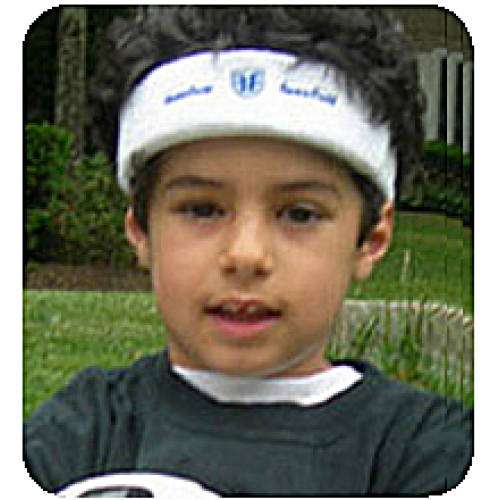 The Forcefield Protective Sweatband ™ and Forcefield ULTRA Protective Headband™ are designed to be worn when participating in sports like soccer, skating and curling where protective headgear is not worn. Also for use by those participating in recreational and other activities where there is a risk of a fall or impact to the head and a helmet is not standard equipment. Worn to reduce the severity of impacts to the head and they do this by significantly absorbing and dissipating the force associated with the impact. Place the Forcefield Protective Sweatband ™ and Forcefield ULTRA Protective Headband™ around the circumference of your head across your forehead just like a sweatband and make sure that it stays in that position for optimum protection. You may wear the headgear under a hat, hood, cap, wrap, bandana, toque or earmuffs. The Forcefield Protective Sweatband ™ and Forcefield ULTRA Protective Headband™ can be cleaned with ordinary soap and water. Hand wash only - Do not machine wash. Do not bleach. After washing, allow the headgear to air-dry away from direct sunlight. DO NOT PLACE THE HEADBAND IN AN ELECTRIC DRYER OR MICROWAVE OR OVEN. THE INTEGRITY OF THE PRODUCT WILL BE COMPROMISED. The Forcefield Protective Sweatband ™ and Forcefield ULTRA Protective Headband™ should be stored at temperatures between 5 - 26 degrees Celsius (40-80 degrees Fahrenheit). Failure to follow these instructions may result in serious and/or permanent injuries. The ForceField Protective Headband™ has been independently tested extensively at McGill University Montreal, at INTERTEK Laboratories New York, and certified by INSPEC International United Kingdom. The Forcefield exceeded ASTM F 1045-87 specifications for impact tests. The Forcefield was tested at both standard height and triple the standard. The Forcefield is similarly manufactured to high quality and safety standards. The Forcefield is the only headband in the world certified CE II, measured against the PPE (personal protective equipment) standard for protective headgear. Both test data and PPE manufacturing standards are fully disclosed below. 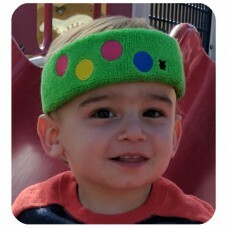 Ten initial tests were conducted without any headbands mounted to provide a baseline. Three impacts per sample were conducted with approximately 30 seconds between impacts. The initial ten impacts without headbands produced peak g values of 652.4 g. The ASTM F 1045-87 impact test specification recommends that no single impact can exceed peak g (impact deceleration) of 300 g. With the headband mounted, the results averaged 252.9 g. With the headband mounted, impact absorption (i.e. the ratio between no head band versus with headband) demonstrated values up to 83% (decrease in impact force). 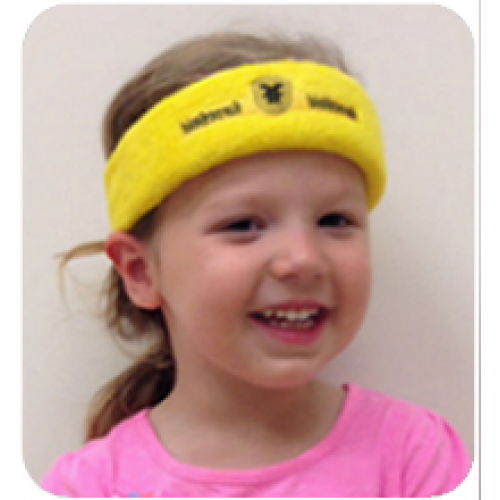 There was no significant difference in test results between the Regular and Ultra headbands. The ForceField FFTM Headband was tested under the same rigid test conditions that a hockey helmet is tested. The test method used was ASTM F 1045 titled "Standard Performance Specification for Ice Hockey Helmets". In that test, the hockey helmet is a complete product containing a liner of shock absorbing material covered with a hard plastic shell which gives the helmet its form and helps spread out the initial impact over a larger area. No single impact can exceed 300Gs. The velocity of the 41-inch drop was 4.48 meters per second. The results averaged 252.9Gs for the headband. The ForceField FFTM Headband passed the ASTM F 1045 test protocol. In comparison, a bare NIKE band did not have any noticeable affect in absorbing any impact of any significance. This report summarizes the results of preliminary testing to determine the impact absorption performance characteristics of prototype headbands for soccer. The independent measure of interest was peak G (i.e. impact deceleration). The dependent variable of impact velocity and energy were held constant at 1.9 m/s and 9.2 J, respectively. An ISO headform (size L ~ medium adult) with triaxial accelerometer (Kistler) mounted at the approximate center of mass was dropped by means of a bi-rail basket guide (similar to CEN 960 for ice hockey) from a height of 30 cm (Drop Test Apparatus The headform was mounted to permit impact between the mid anterior - crown locations.). 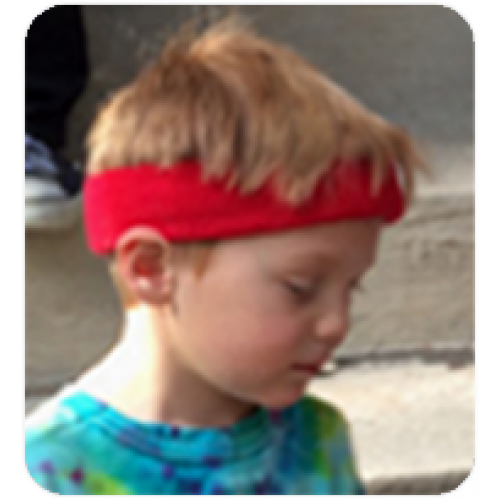 Ten initial tests were conducted without any headbands mounted to provide baseline measures. Three impact per sample were conducted with approximately 30 seconds between impacts. The initial ten impacts without headbands produced peak G values of 652.4 G’s. With the new patented headbands introduced, impact absorption (i.e. the ratio between no head band versus with headband) demonstrated values up to 83% (decrease in impact force) (average of three impacts). The impact test apparatus complied with ASTM F 2220-02. (1) PATENT NOS. : US 6,675,395, US 6,978,487 & US 7,234,174. The testing of the helmet insert and protective device was independently performed. The test method used was ASTM F 1045 with a 41" drop. The protocol was used to determine the feasibility of the concept of adding the patentented headband (1), the consistency for a variety of protective helmets and whether the results would make a significant difference in the absorption and dissipation of forces. A small change would not be useful. OJ N° C 304, 4. 12. 1989, p. 29. 1. This Directive applies to personal protective equipment, hereinafter referred to as 'PPE'. It lays down the conditions governing its placing on the market and free movement within the Community and the basic safety requirements which PPE must satisfy in order to ensure the health protection and safety of users. 2. For the purposes of this Directive, PPE shall mean any device or appliance designed to be worn or held by an individual for protection against one or more health and safety hazards. (c) interchangeable PPE components which are essential to its satisfactory functioning and used exclusively for such equipment. 3. Any system placed on the market in conjunction with PPE for its connection to another external, additional device shall be regarded as an integral part of that equipment even if the system is not intended to be worn or held permanently by the user for the entire period of risk exposure. - the PPE classes specified in the list of excluded products in Annex I, independently of the reason for exclusion mentioned in the first indent. 1. Member States shall take all appropriate measures to ensure that the PPE referred to in Article 1 may be placed on the market and brought into service only if it preserves the health and ensures the safety of users without prejudice to the health or safety of other individuals, domestic animals or goods, when properly maintained and used for its intended purpose. 2. This Directive shall be without prejudice to the right of Member States to lay down - in conformity with the Treaty - any requirements which they consider necessary to ensure user protection, provided that this does not give rise to modifications to PPE which could result in its non-conformity with the provisions of this Directive. 3. Member States shall not prevent the presentation at trade fairs, exhibitions and the like of PPE which is not in conformity with the provisions of this Directive, provided that an appropriate notice is displayed drawing attention to this fact and the prohibition on its acquisition and/or use for any purpose whatsoever until it has been brought into conformity by the manufacturer or his representative established in the Community. The PPE referred to in Article 1 must satisfy the basic health and safety requirements laid down in Annex II. satisfy the provisions of this Directive and which bear the EC mark. 2. Member States shall not prohibit, restrict or impede the placing on the market of PPE components which do not bear the EC mark, and which are intended to be incorporated in PPE, provided that they are not essential to its satisfactory functioning. 1. Member States shall regard as in conformity with the basic requirements referred to in Article 3 the PPE referred to in Article 8 (3) bearing the EC mark with respect to which the manufacturer is able to produce, on demand, the declaration of conformity referred to in Article 12. Where a manufacturer has not applied or has only partly applied the harmonized standards or where there are no such standards the certificate issued by the body of which notification has been given must state the conformity to the basic requirements in accordance with the second indent of Article 10 (4) (a) and (b). 3. The PPE referred to in Article 8 (2) for which harmonized standards are not available may continue on a transitional basis, until 31 December 1992 at the latest, to be subject to national arrangements already in force on the date of adoption of this Directive, provided that such arrangements are compatible with the provisions of the Treaty. 4. The Commission shall publish the references of the harmonized standards in the Official Journal of the European Communities. Member States shall publish the references of the national standards transposing the harmonized standards. 5. Member States shall ensure that by 30 June 1991 appropriate steps are taken to enable both sides of industry to have an influence at national level on the process of formulating the harmonized standards and keeping them under review. completely satisfy the relevant basic requirements referred to in Article 3, the Commission or the Member State concerned shall refer the matter to the committee created pursuant to Directive 83/189/EEC (1), setting out its reasons. The committee shall deliver an opinion without delay. In the light of the committee's opinion, the Commission shall notify Member States of whether or not it is necessary to withdraw the standards concerned from publications made pursuant to Article 5. 2. The Standing Committee set up by Article 6 (2) of Directive 89/392/EEC (2) may be apprised, in accordance with the procedure described below, of any matter to which the implementation and practical application of this Directive give rise. The representative of the Commission shall submit to the committee a draft of the measures to be taken. The committee shall deliver its opinion on the draft, within a time limit which the chairman may lay down according to the urgency of the matter, if necessary by taking a vote. The opinion shall be recorded in the minutes; in addition, each Member State shall have the right to ask to have its position recorded in the minutes. The Commission shall take the utmost account of the opinion delivered by the committee. It shall inform the committee of the manner in which its opinion has been taken into account. 1. If a Member State discovers that PPE bearing the EC mark and used in accordance with its intended purpose could compromise the safety of individuals, domestic animals or property, it shall take all necessary measures to remove that equipment from the market and prohibit the marketing or free movement thereof. (c) a shortcoming in the standards referred to in Article 5. Article 6 (1) if the Member State concerned intends to adhere to its decision and shall initiate the procedure referred to in Article 6 (2). 3. If PPE which is not in conformity with the relevant requirements bears the EC mark, the Member State concerned shall take the appropriate measures with regard to those responsible for affixing the mark and shall inform the Commission and the other Member States accordingly. 4. The Commission shall ensure that the Member States are kept informed of the progress and results of the procedure provided for in this Article. 1. Before placing a PPE model on the market, the manufacturer or his authorized representative established in the Community shall assemble the technical documentation referred to in Annex III so that this can, if necessary, be submitted to the competent authorities. 2. Prior to the series production of PPE other than those referred to in paragraph 3, the manufacturer or his authorized representative established in the Community shall submit a model for EC type-examination as referred to in Article 10. 3. EC type-examination shall not be required in the case of PPE models of simple design where the designer assumes the user can himself assess the level of protection provided against the minimal risks concerned the effects of which, when they are gradual, can be safely identified by the user in good time. Article 12 for all PPE. 1. Each Member State shall inform the Commission and the other Member States of the approved bodies responsible for the execution of the certification procedures referred to in Article 8. For information purposes, the Commission shall publish in the Official Journal of the European Communities and keep up to date a list giving the names of these bodies and the distinguishing numbers it has assigned to them. 2. Member States shall apply the criteria laid down in Annex V in assessing the bodies to be indicated in such notification. Bodies meeting the assessment criteria laid down in the relevant harmonized standards shall be presumed to fulfil those criteria. 3. A Member State shall withdraw its approval from such a body if it establishes that the latter no longer satisfies the criteria referred to in Annex V. It shall inform the Commission and the other Member States of its action forthwith. 1. EC type-examination is the procedure whereby the approved inspection body establishes and certifies that the PPE model in question satisfies the relevant provisions of this Directive. 2. Application for EC type-examination shall be made by the manufacturer or his authorized representative to a single approved inspection body in respect of the model in question. The authorized representative shall be established in the Community. It shall be accompanied by the appropriate number of specimens of the model to be approved. - It shall examine the manufacturer's technical file to establish its suitability with respect to the harmonized standards referred to in Article 5. - Where a manufacturer has not applied, or has only partly applied, the harmonized standards or where there are no such standards, the body of which notification has been given must check the suitability of the technical specifications used by the manufacturer with respect to the basic requirements before examining the manufacturer's technical file to establish its suitability with respect to these technical specifications. - When examining the model, the inspection body shall verify that it has been produced in accordance with the manufacturer's technical file and can be used in complete safety for its intended purpose. - It shall conduct the necessary examinations and tests to establish the conformity of the model with the harmonized standards. - Where a manufacturer has not applied or has only partly applied the harmonized standards or where there are no such standards the body of which notification has been given shall conduct the necessary examinations and tests to establish the conformity of the model with the technical specifications used by the manufacturer, subject to their being suitable with respect to these basic requirements. 5. If the model satisfies the relevant provisions, the inspection body shall draw up an EC type-examination certificate and shall notify the applicant to this effect. This certificate shall reproduce the findings of the examination, indicate any conditions attaching to its issue and incorporate the descriptions and drawings necessary for the identification of the approved model. The Commission, the other approved inspection bodies and the other Member States may obtain a copy of the certificate and, in response to a reasoned request, a copy of the manufacturer's technical file and the reports of the examinations and tests conducted. The file shall be held at the disposal of the competent authorities for 10 years following the placing of the PPE on the market. 6. Any inspection body which refuses to issue an EC type-examination certificate shall inform the other approved inspection bodies of this fact. An inspection body withdrawing an EC type-examination certificate shall inform the Member State which approved it, to this effect. That Member State shall then inform the other Member States and the Commission, setting out the reasons for the decision. 1. A manufacturer shall take all steps necessary to ensure that the manufacturing process, including the final inspection of PPE and tests, ensures the homogeneity of production and the conformity of PPE with the type described in the EC type-approval certificate and with the relevant basic requirements of this Directive. 2. A body of which notification has been given, chosen by a manufacturer, shall carry out the necessary checks. Those checks shall be carried out at random, normally at intervals of at least one year. 3. An adequate sample of PPE taken by the body of which notification has been given shall be examined and appropriate tests defined in the harmonized standards or necessary to show conformity to the basic requirements of this Directive shall be carried out to check the conformity of PPE. 4. Where a body is not the body that issued the relevant EC type-approval certificate it shall contact the body of which notification has been given in the event of difficulties in connection with the assessment of the conformity of samples. type-approval certificate or the relevant basic requirements, the body shall take measures appropriate to the nature of the fault or faults recorded and inform the Member State which gave notification thereof accordingly. 6. The manufacturer must be able to present, on request, the report of the body of which notification has been given. (a) Under this procedure the manufacturer submits an application for the approval of his quality-control system to a body of which notification has been given, of his choice. - the undertaking to maintain the obligations arising from the quality-control system and to maintain its adequacy and efficiency. (b) Under the quality-control system, each PPE shall be examined and the appropriate tests referred to in Section A paragraph 3 shall be carried out to check their conformity to the relevant basic requirements of this Directive. - the means to be employed to check the efficient operation of the quality-control system. (c) The body shall assess the quality-control system to determine whether it satisfies the provisions referred to in paragraph 1 (b). It shall assume that quality-control systems applying the relevant harmonized standard satisfy those provisions. The body carrying out audits shall make all necessary objective evaluations of the components of the quality-control system and shall check in particular whether the system ensures conformity of PPE manufactured with the approved model. The decision shall be communicated to the manufacturer. It shall include the conclusions of the check and the reasoned assessment decision. (d) The manufacturer shall inform the body which approved the quality-control system of any plan to alter the quality-control system. The body shall examine the proposed changes and decide whether the altered quality-control system satisfies the relevant provisions. It shall communicate its decision to the manufacturer. The communication shall include the conclusions of the check and the reasoned assessment decision. (a) The purpose of supervision is to ensure that a manufacturer correctly fulfils the obligations arising from the approved quality-control system. (c) The body shall periodically carry out audits to ensure that the manufacturer is maintaining and applying the approved quality-control system and shall provide the manufacturer with a copy of the audit report. (d) In addition, the body may make unannounced visits to the manufacturer. In the course of such visits the body shall provide the manufacturer with a report of the visit and, if appropriate, with an audit report. (e) The manufacturer must be able to present, on request, the report of the body of which notification has been given. 2. affixes the EC mark of conformity provided for by Article 13 to each PPE. and, in the event of the involvement of a notified body having carried out an EC examination of the type referred to in Article 10, its distinguishing number shall be added. The form of the mark to be used is shown in Annex IV. 2. The EC mark shall be affixed to each production PPE and its packaging so as to be visible, legible and indelible throughout the foreseeable useful life of that PPE. 3. Marks or inscriptions which could be confused with the EC mark may not be affixed to PPE. Any decision taken in implementation of this Directive and leading to restrictions on the marketing of PPE shall be accompanied by a detailed explanation of the grounds on which it is based. The interested party shall be notified of the decision without delay and informed of the possibilities for appeal under the legislation in force in the Member State concerned and of the deadlines for lodging such appeals. The Commission shall take the necessary steps to ensure that data concerning all the relevant decisions in connection with the management of this Directive are made available. 1. By 31 December 1991, Member States shall adopt and publish the laws, regulations and administrative provisions necessary to comply with this Directive. They shall forthwith inform the Commission thereof. They shall apply those provisions from 1 July 1992. 2. Member States shall communicate to the Commission the texts of the provisions of national law which they adopt in the field governed by this Directive. Done at Brussels, 21 December 1989. (1) OJ N° C 141, 30. 5. 1988, p. 14. (3) OJ N° C 337, 31. 12. 1988, p. 37. (4) OJ N° L 109, 26. 4. 1983, p. 8. (5) OJ N° L 81, 26. 3. 1988, p. 75. (1) OJ N° L 109, 26. 4. 1983, p. 8. (2) OJ N° L 183, 29. 6. 1989, p. 9. 1. PPE designed and manufactured specifically for use by the armed forces or in the maintenance of law and order (helmets, shields, etc.). 2. PPE for self-defence (aerosol canisters, personal deterrent weapons, etc.). 4. PPE intended for the protection or rescue of persons on vessels or aircraft, not worn all the time. PPE must provide adequate protection against all risks encountered. PPE must be so designed and manufactured that in the foreseeable conditions of use for which it is intended the user can perform the risk-related activity normally whilst enjoying appropriate protection of the highest prossible level. The optimum level of protection to be taken into account in the design is that beyond which the constraints imposed by the wearing of the PPE would prevent its effective use during the period of exposure to the risk or normal performance of the activity. Where differing foreseeable conditions of use are such that several levels of the same risk can be distinguished, appropriate classes of protection must be taken into account in the design of the PPE. PPE must be so designed and manufactured as to preclude risks and other nuisance factors under foreseeable conditions of use. PPE materials and parts, including any of their decomposition products, must not adversely affect user hygiene or health. Any PPE part in contact or in potential contact with the user when such equipment is worn must be free of roughness, sharp edges, projections and the like which could cause excessive irritation or injuries. Any inpediment caused by PPE to movements to be made, postures to be adopted and sensory perception must be minimized; nor must PPE cause movements which endanger the user or other persons. PPE must be so designed and manufactured as to facilitate correct positioning on the user and to remain in place for the foreseeable period of use, bearing in mind ambient factors, movements to be made and postures to be adopted. For this purpose, it must be possible to optimize PPE adaptation to user morphology by all appropriate means, such as adequate adjustment and attachment systems or the provision of an adequate size range. PPE must be as light as possible without prejudicing design strength and efficiency. Apart from the specific additional requirements which they must satisfy in order to provide adequate protection against the risks in question (see 3), PPE must be capable of withstanding the effects of ambient phenomena inherent under the foreseeable conditions of use. If the same manufacturer markets several PPE models of different classes or types in order to ensure the simultaneous protection of adjacent parts of the body against combined risks, these must be compatible. the significance of any markings (see 2.12). These notes, which must be precise and comprehensible, must be provided at least in the official language(s) of the Member State of destination. ed. This section includes standards for equipment that claims to protect with safety straps, among other specific equipment types and does not apply. ed. This section includes standards for equipment that claims to protect from radiation, among other similar hazards and does not apply. The documentation referred to in Article 8 (1) must comprise all relevant data on the means used by the manufacturer to ensure that a PPE complies with the basic requirements relating to it. 3. a copy of the information notice referred to in Annex II, 1.4. 5. subscription of a civil liability insurance unless that liability is covered by the State under national law. Fulfilment of the conditions under 1 and 2 shall be verified at intervals by the competent authorities of the Member States. Activities where there is risk of impact to the head and other parts of the body are dangerous and can result in sub-concussive or concussive brain injuries that may be temporary or permanent. Before you purchase any headgear, ensure it has a certification mark from an official governing body responsible for standards. It is your assurance of thorough testing to ensure a high level of safety and product quality. Proper placement. Place the headgear around the circumference of your forehead just like a sweatband and make sure that it stays in that position for the optimum protection. Improper placement or modification of this headgear will reduce its effectiveness and will result in an increased risk of a head injury. If the headgear is torn, damaged or shows signs of excessive wear, the headgear must be replaced. Failure to follow this warning may result in serious and/or permanent injuries.